This field is the upstream portion of the Oi River (mainly the University of Tsukuba Ikawa Forest Station) in Shizuoka Prefecture. We will learn about the migration process of water and sand that make up the natural environment of the forest watershed and can, at times, lead to disaster, by studying the data measured in field surveys and observing the watershed environment. In addition, we will also use these to study the issues of what a watershed environment should be and how it should be managed. Much of modern biology's research is supported by what are called "model organisms," such as yeast, drosophila, arabidopsis, and mites. In this exercise, we will spend time outdoors and look for a variety of related species of model organisms. This will help us discover the natural ecosystem that has evolved the intriguing life phenomenon and its relationship to various organisms. 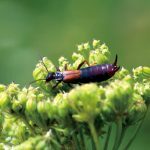 Insects, which make up approximately three-quarters of the animal kingdom, are the most flourishing taxonomic group on the planet. Of the 32 orders of insects, 29 can actually be collected and the students can carefully and directly learn their morphological and taxonomic features in this outdoor exercise unlike any others that exist in Japan (specimens of the remaining three orders can also be observed!). What is an insect? 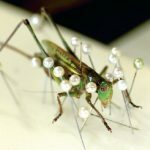 Why do insects have such a high degree of diversity? The answers to these questions are here. We will observe the profile of the soil! By looking at the soil cross-sectionally, we can learn how the soil was formed, what kind of environment it was formed in, its relationship to organisms, the classifications of soils, and many other various things. The soil of the Sugadaira Highland is made from volcanic ash. As Japan is a volcanic country, soils considered rare in the world are widespread. Wouldn't you like to take a peek at the unique world of Japan's soils? The grasslands that spread throughout Japan tens of thousands of years ago have rapidly decreased in scale nationwide due to the suppression of natural disturbances by man and the abandonment of grassland usage. However, the Sugadaira Highland remains a rich grassland with precious plants and animals, such as the seven flowers of autumn, well-known among Japanese people since ancient times. 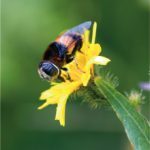 In this prairie, we will learn about the connection plants and flower visiting insects that have been unfolding since ancient times and the connection between man and the grasslands. Life was born from the sea and then evolved onto the land, and today a variety of organisms live on both land and sea, each with their own established ecosystems. 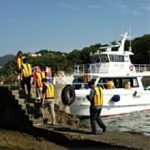 In this exercise, we use this laboratory (mountains) and the Shimoda Coastal Research Center (ocean) to study the ecosystems and biodiversity of both land and sea. Feel the dramatic difference between the environment and biota at 0m and 1300m. We will learn about the diversity of eumycetes and the basics of phylogenetic taxonomy, such as mushrooms, fungi, yeast, etc. 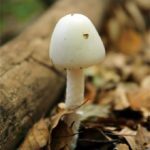 We will go out into the forest, grassland, and streams on the Center grounds and collect large fungi, such as mushrooms, bring them back to the laboratory, and deepen our understanding of them with detailed observations of their morphology and structure through microscopic observation. 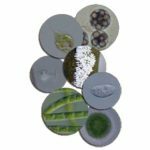 We will also conduct coarse cultivation of the soil and water samples we collect in the field to detect micro fungi (mold and yeast) and study classification and culture technology. Even forests can look completely different depending on their location and transition stage. In this exercise, we will visit natural red pine, Mongolian oak, and beech forests in accordance with their transition series and study how to conduct forest surveys. 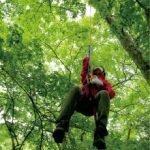 By preparing tree specimens, we will learn how to distinguish 40 different types of trees, and through the survey of each tree, tree climbing surveys using ropes, and free study, we can understand how forests are formed and how they change. Cultivate your ability to really see the nature of Japan while communing with diverse forests. In winter, Sugadaira is closed off by snow, and the temperature falls to extremely freezing temperatures as low as -30℃. However, above the snow, animals, birds, and arthropods display active behavior. For example, we can see the footprints left behind by a rabbit jumping and a fox chasing it. Let's get a feel for the qualities of nature by observing how animals behave during the snowy season, such as birds searching for food with all their might in the freezing temperatures and stoneflies and other small insects walking on the snow. As one might expect from their systematic diversity, protozoa are extremely diverse in their biological features. They are creatures that remain steeped in unknown phenomena and applicabilities. In this exercise, we will collect field samples, and observe various protozoa to become more familiar with their diversity and experience the intrigue and potential of protozoa. We will deepen our understanding of the model organisms that support modern biology from an ecological perspective. First, we will venture into the outdoors to find yeast, drosophila, arabidopsis, mites , and other related species in the wild. Even though we may be familiar with model organisms in the laboratory, there are a variety of closely related species in the wild, and we will study how they live in relation to other organisms. Throughout the world's long history, species have experienced many geohistoric events and changes in climate, which have formed the distribution of their populations today. In this exercise, we will use molecular ecological methods, such as genetic analysis experiments on the samples collected in the mountain field to evaluate the genetic structure of populations of target species and also to estimate the history of past population dynamics. We will use this data to think about the preservation and management of mountain organisms taking into account their evolutionary history. Satoyama areas are generally thought to be mountain areas closely linked to people's everyday lives with a high level of biodiversity, but there is concern about the effects on the ecosystem from abandoned management of the areas and the invasion of non-native species. 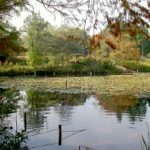 In this exercise, we will experience Satoyama management and outdoor surveying at the forest and regulating reservoir in the Tsukuba Experimental Forest at the Tsukuba Campus, which includes thinning the bamboo forest, aquatic plant management for water purification and non-native aquatic animal capture, and extermination. Arthropods are the closest species to us, make up three-quarters of all known animals, and are the most prosperous phylum on earth. In this exercise, through lectures about arthropods and actual outdoor observation, collection, and specimen preparation of arthropods, we will acquire a basic knowledge of the classification, phylogeny, and morphology of arthropods and learn the practice of systematic taxonomy. 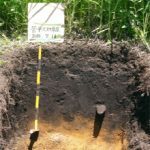 We will provide a solid education in the fundamentals of soil survey methods. We will study the characteristics of the soil distributed throughout the mountains from a soil generation taxonomic perspective. With a focus on outdoor surveying, everyone from those who aim to become experts on soil surveying to those who want to learn mountain ecosystem basics from various perspectives will gain a deeper understanding of how to recognize soil generation environments, the various qualities of soil characteristics, including their physical and chemical qualities, as well as their biological features. The semi-natural grasslands that once spread throughout Japan in the glacial and interglacial periods, are now rapidly decreasing across the country due to the suppression of natural disturbances by humans and abandonment of artificial disturbances (grassland usage). However, the seven flowers of autumn, well-known among Japanese people since ancient times and other rare and endangered species remain at the grassland in Sugadaira Highland. We will conduct open field surveys at this grassland and analyze the reciprocal actions of plants and plant visiting insects, and humans and the grasslands have had on each other since ancient times. Fungi, which include an estimated total of 1.5 million species (true fungi: chytridiomycota, zygomycota, actomycota, basidiomycota) are one group of opisthokonts, which includes both the animal and monophyly kingdoms. 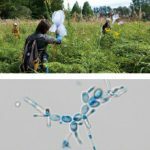 We will acquire the skills to collect, cultivate, separate, and observe myxomycetes, which have currently been found to be systematically heterogenous and biomes considered conventional fungi (in the broad sense), including oomycetes, from the open field, and aim to gain a deeper understanding of their diversity. The aspects and constituent species of forests are completely different depending on location and transition phase. In this exercise, first we learn to identify the various trees living in the red pine, Mongolian oak, and beech forests. 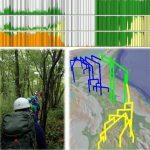 We will conduct surveys of each tree and tree climbing surveys using ropes to analyze the forest formation and transition. We will then look at the historic changes progressing in forests throughout the country. Using the Sugadaira Research Station as our field, we will conduct outdoor activities, including animal tracking, birdwatching, and observation of snow insects and hibernating arthropods. 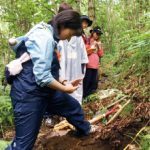 Through these activities, we will observe how living creatures, predominantly animals, typically live in the snowy winter months in the Chubu mountainous region and deepen our awareness of living creatures through practical study.